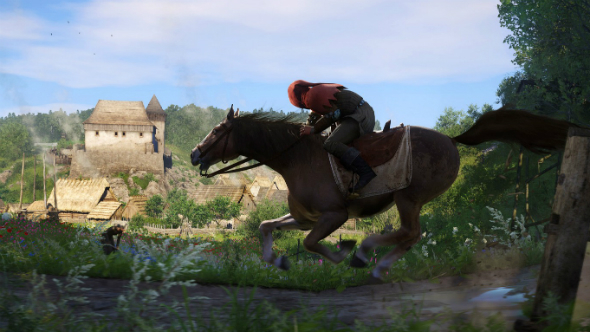 I had made a lot of assumptions about Kingdom Come: Deliverance before sitting down to play it. ‘This will mostly be a sandbox,’ ‘I’m not expecting a lot of story,’ ‘What is there will be too ambitious for its own good’ and, overall, ‘This is not for me’. None of this was correct. 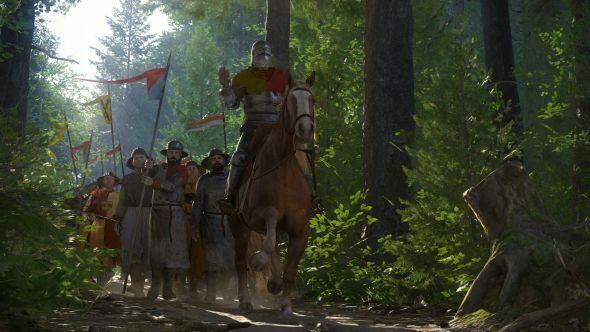 Far from a bold move for the Mount & Blade crown, Kingdom Come wants to be a realistic medieval Skyrim, taking you on a long adventure of side-quests, dialogue trees, and investigation. On top of that is built a first-person-only combat system in a beautiful world and it all works far better than I would have thought. Click here for more brilliant RPGs. That’s interesting. That’s brave. That is exciting. For a small team out of Eastern Europe it’s remarkably ambitious, but in a way that has a clear end goal rather than a nebulous, difficult-to-polish sandbox that meanders for too long. 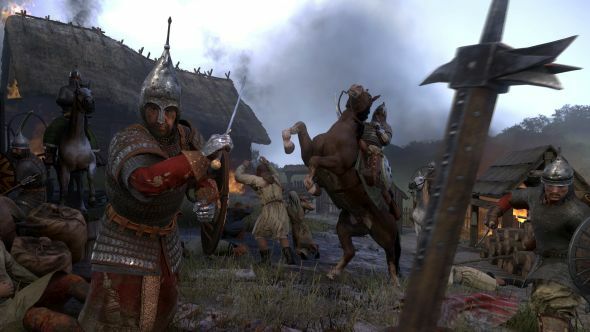 Warhorse Studios have avoided Early Access too, taking the £1.1 million they made on Kickstarter and investing it in a very traditional game development cycle – expanding the team from 20 people to a full 100 and getting ready for launch four years later. So far, it seems to be paying off. The core of this is making sure that combat isn’t always at the centre of your interactions with the world. Warhorse want it to be slower than your average RPG, building up the political situation of the land and your story of growing from farm boy to all-around medieval badass. It also means that, while you can do what you like in the open world, the stories being told are going to keep going on without you. My demo mission was to investigate an attack on a local stables. You meet up with some soldiers, head down there, question everyone, then find clues in various places to put together what happened and why. This is varied and multi-part, with different avenues to each clue – cross-checking with farm workers or discovering a broken fence to work out which way the attackers fled, for example – and a bunch of ways to react of them, all of which appeal to your common sense rather than rely on signposting. Discover where the bad guys are and you can head off on your own, or you can return to your comrades and gather a squad together, which, of course, also removes any hope of stealth. What was most impressive to me is that, once the quest is triggered, if you don’t go along to it, it will resolve by itself. The already irate military commander, annoyed to be taking a rookie such as you along for the ride in the first place, will be extremely angry that you ignored orders and rode off to a side-quest on the other side of the map for a couple of days. He and his men are not incompetent, and thus, if you don’t show up they will eventually sort out the mystery for themselves. There is a limit to this so that the whole plot doesn’t happen while you go off to have fun, but all your actions have consequences, whether big or small. As you can imagine, all of this is a breeding ground for bugs. 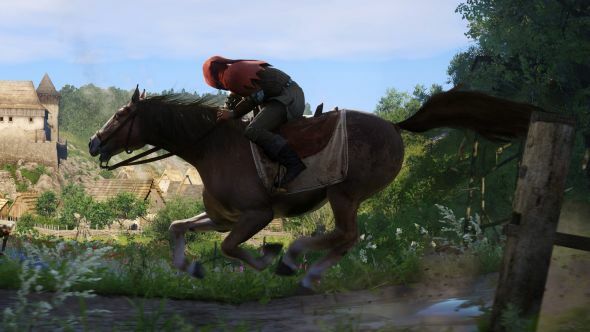 I didn’t spot anything amiss in the demo, but part of the reason for the most recent Kingdom Come delay, putting it into next year, is so the entire team – artists, programmers, anyone with spare minutes and a computer – can get down to making it as good as it can be. The expectation for a game like this would be a lack of polish. While it doesn’t have triple-A smoothness – and let’s be honest, Bethesda’s best efforts don’t either – it is far less janky than most games at the beta stage, be they publicly available or not. Yes, what the developers are showing off to me is going to be the most polished segment of the game they have, but with three more months of bug smashing left to go I have a lot of confidence in Warhorse’s capability to get it right. There are two other key triumphs. First is in linked mechanics, with complex combat supported by a big combo system plus skills, gear, and perks, all of which also influence social interaction. Go out, kill a guy, and get blood all over your sword? You might look like a badass now, changing how characters see you – and not all of them like it. Know the first aid skill? You can bypass challenging social bluffs or intimidation checks by bandaging an arm. Again, it is an interwoven series of modifiers, based on circumstance and logic as much as gear. The second is in looks. Kingdom Come has one of the prettiest maps I have ever seen in a videogame, to the point of it not only being worth mentioning, but celebrating. Renaissance-era art slowly reveals itself as you explore, with intricate drawings in a tapestry style indicating towns and other areas. It is great, and puts a high-quality sheen on the whole game, in tandem with the CryEngine looking its absolute best. This is all tied together by a strong historical base in which your character, Henry, and his story, is fictional, but the surroundings are an accurate interpretation of what really happened. Open up a history book and you can spoil the ending for yourself. No surprises that a full-time historian on the team keeps everything in check – it was their idea to make the 15th-century-style map. It isn’t finished yet, but getting it right will put Kingdom Come: Deliverance in a unique spot. The Witcher and Skyrim have taken fantasy RPGs into the stratosphere – but nobody has kept their storytelling and narrative options when transferring over to a world of cavalry charges and unenchanted swords. That is effectively a whole new genre and, by the looks of it, it could be a great one.